Authorized & Best Quality Garden Stainless Steel Planters on Savings! Commercial grade planters for municipal, corporate, hospitality or residential projects. Custom planters built to specification, or use an existing design. Made in the USA. What is the Best Stainless Steel For Your Planters? There are different grades of stainless steel used in planter fabrication. Generally 304 is an acceptable grade for most commercial projects, not located directly on a waterfront. If the installation is occuring on the water then 316 could be a consideration. Contact Yard Art to discuss what version of stainless steel would be proper for your planters. Another consideration for your planters is the type of finish. A brushed finish is the more low maintenance option, and best served in an area where there will be foot traffic. A polished finish will take more time and resources to keep it up. 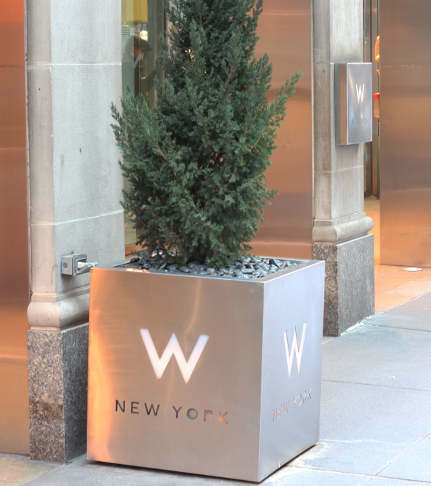 See some city street planters from Yard Art at the World Trade Center. A good cost savings alternative to stainless steel is to fabricate out of aluminum and use a powder coated finish. Aluminum does not rust. Do we provide any warranty on the purchases of outdoor steel Planters or boxes? 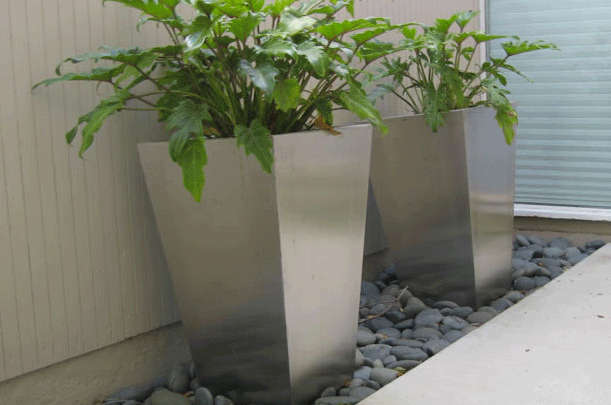 Yes Actually, Stainless steel planters are durable, versatile and have a modern look. A great choice site furnshing choice for those interested in putting planters next to a pool, or flanking an entryway. 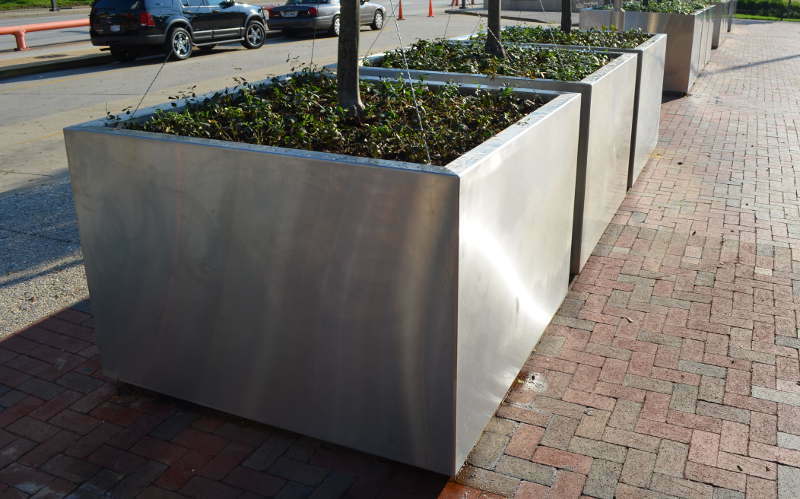 With the wipe of a cloth stainless steel planters will look the same in 20 years as they do today. The anti rustng properties of stainless steel make it an awesome option with low maintenance. 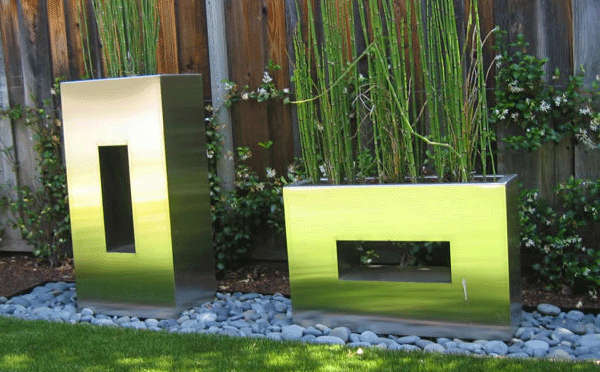 Yard Art has the experience working with projects that call out stainless steel planters. All fabricated planters carry a warranty. We are here to help in any way with your project, large or small. Visit our metal planters category to see modern and unique design options for stainless steel planters.